The Loss of a pet is a very difficult time. My staff and I would like to support you, in any way we can. We know that your pet was a family member and that its death has had a significant impact on your life. Our thoughts are with you during this difficult time. Grief can be very unpredictable. One minute you may feel fine and the next minute you may feel awful. That's why there is no specific time frame for grieving. It may take days, weeks or months to come to terms with the death of your pet. The important thing is to find you own pace with it. You might find it helpful to think about some ways to memorialize your pet. Some people make a scrapbook of pictures or special objects. 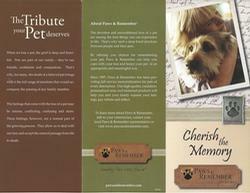 We have partnered with a company that can help with the memorialization of you pet. Valuable grief materials are available at pawsandremember.com. 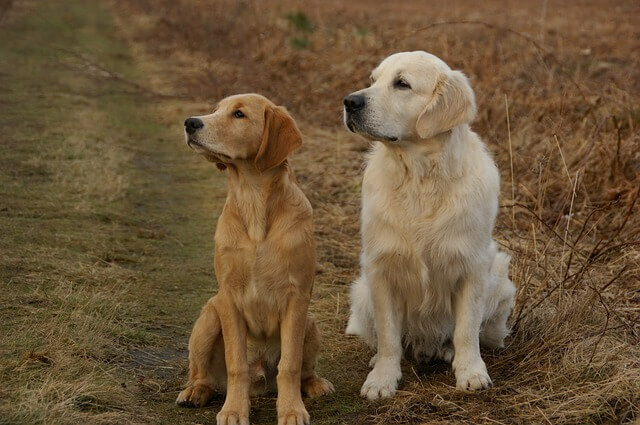 They understand the grief that is felt at the loss of a pet and can assist in memorializing your pet and paying tribute in a dignified and special way. Please do not hesitate to call our office (765) 492-4331 if you'd like to talk further about thefeelings you are experiencing at this time. Know that they are a natural part of the healing process and that talking to others who understand these feelings can be of help to many. Please find our price list below for the Basic Cremation Package with Keepsake Bag. Other cremation packages are available. You may also purchase items ALA CARTE'. Please visit our website at www.pawsandremember.com. chamber with other pets, but as each pet is placed in its own container and carries a unique identification tag, you are ensured of receiving ONLY your pet's cremated remains. If you would like a V.I.P. (Private Cremation) the cost is $250 for pets 120 lbs. and under, $275 for pets 121 lbs. but no more than 225 lbs.